A new Time Capsule containing all sorts of useful goodies has arrived in DC Universe Online. 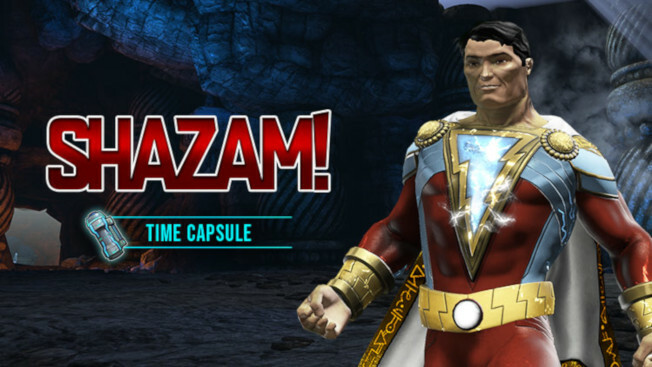 This time, fans will be able to get their hands on items inspired by Shazam! including special gear pieces and styles. For those unfamiliar with Time Capsules, they’re special drops obtained through regular gameplay that contain a specific set of items. The capsules themselves — and most of the items in them once opened — are tradable. Items that can be obtained via the Time Capsule include Quarks, Emblems, and the things mentioned above. Each Time Capsule is avalable for a limited time and will requre Stabilizers to open. Of course, the easiest way to acquire Stabilizers is to buy them but if you’re willing to wait, you can also build them in game. Details on how to do this can be found on the DCUO site.